While the quote does not exactly come from the particular Reaver we were faced with this time, it is still relevant. 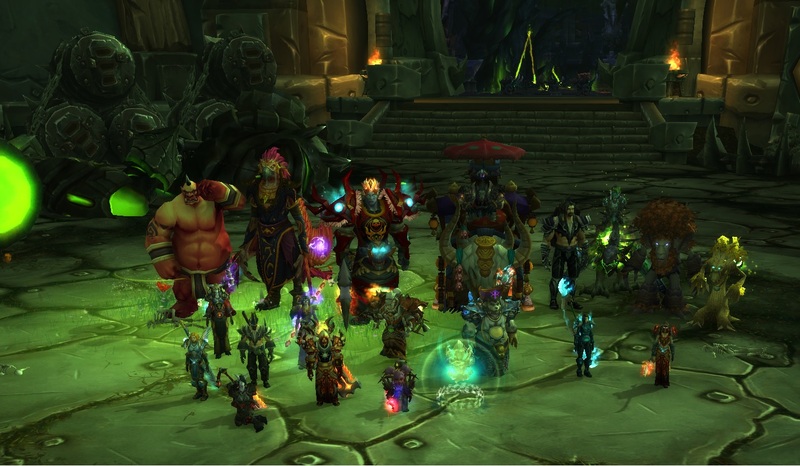 Still the same reset we killed the final boss in heroic mode and we are on a roll. Admitedly, learning that getting a hit in the face from a giant mechanical behemoth is not advised took some time, but eventually we got on top of that as well ways to deal with bombs of different sort. Not quite the most entertaining encounter ever, but it is still just the beginning of the road. Kill video already available at our wowprogress profile, linked on the right side. And so, doors blown wide open, the guarding Reaver taken out of equation, finally we set foot in the fel fortress itself. We still had some time left on our hands, so we tried next boss on our kill list, Kormrok. Did not seem too bad. All the while, we have arrived to the absolute peak of the holidays season, very many people seem to be taking some days off the next few weeks. Likely not too much of mythic progression in near future, but worst case scenario we get all the gear we could possibly want from heroic mode. Then once the team is back, fresh after relaxation, the real game starts. P.S. Those are some very green, fel screenshots, the last three! This entry was posted in Progress by Smalle. Bookmark the permalink.